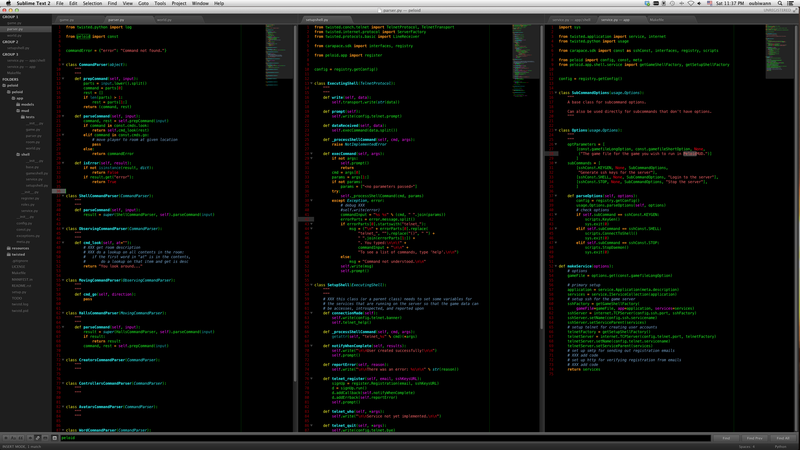 This repo is for the Sublime Text 2 theme that is meant to be installed with Package Control. If you are looking for the version of the theme that is manually installed, the code and instructions for that are here. The syntax highlighting in VimBlackboard is based on Blackboard (as one might imagine), but with many of the colors changed to resemble the default Vim colors used on dark terminals in various Linux distros from the late 90s and early 00s. The widget theme is derived from Soda Dark. Be sure to have Package Control installed. If you need help locating your user preferences file, you can find it selecting “Preferences > Settings - User”. In order to see the UI changes you will need to restart Sublime Text.